The USB31GEVG USB 3.0 Laptop Mini Docking Station lets you create a mobile workstation by adding VGA and Gigabit Ethernet connection ports to your Ultrabook™ or laptop, through a single USB 3.0 host - a travel-friendly solution giving you two connectivity ports that aren’t always available on modern mobile computers. The lightweight mini docking station is ideal for mobile environments, with a built-in cable and no external power adapter required. Plus, the mini dock tucks neatly into your travel bag, with a compact and portable design. 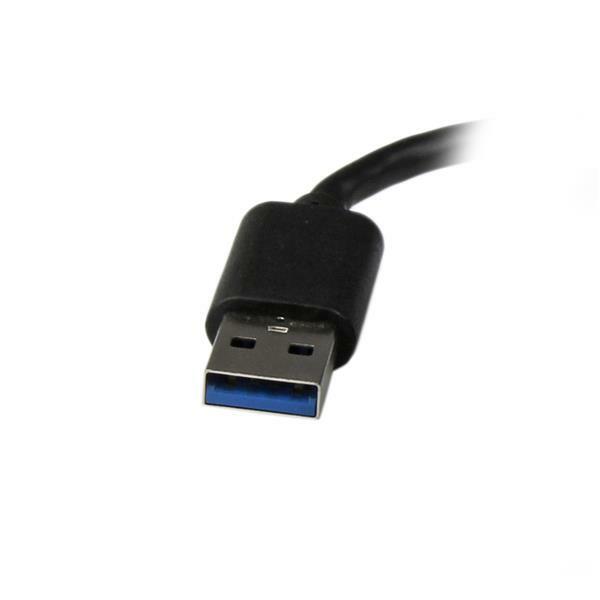 While you're on the move, the USB31GEVG is the ultimate laptop accessory since it eliminates the hassle of carrying multiple adapters by consolidating two essential connection ports into one convenient device. 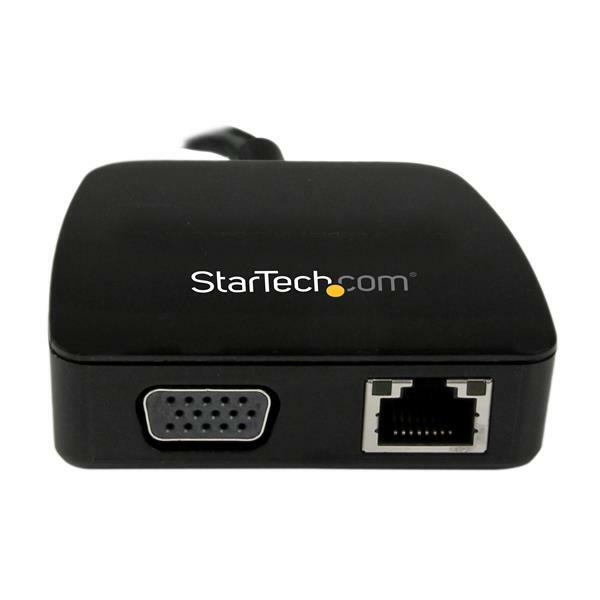 Adding an external monitor, projector, or TV to your laptop or desktop has never been easier! 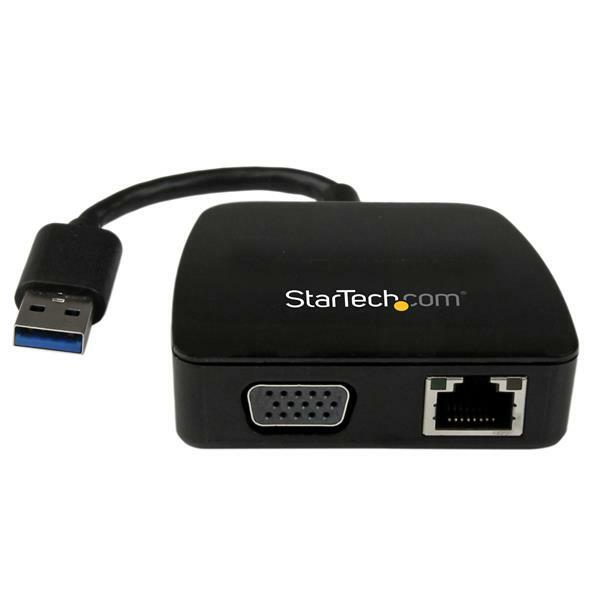 The multi-functional mini docking station leverages the high-bandwidth (5 Gbps) USB 3.0 interface to function as an external graphics card with VGA output and support for resolutions up to 2048x1152 (QWXGA). A versatile solution that lets you transform a workspace in to a mobile hot desk, the mini docking station also integrates an RJ45 port, giving you wired Gigabit bandwidth and faster network connections in environments where a typical WiFi connection is unreliable or not available. To save you time, setup is seamless and hassle-free. 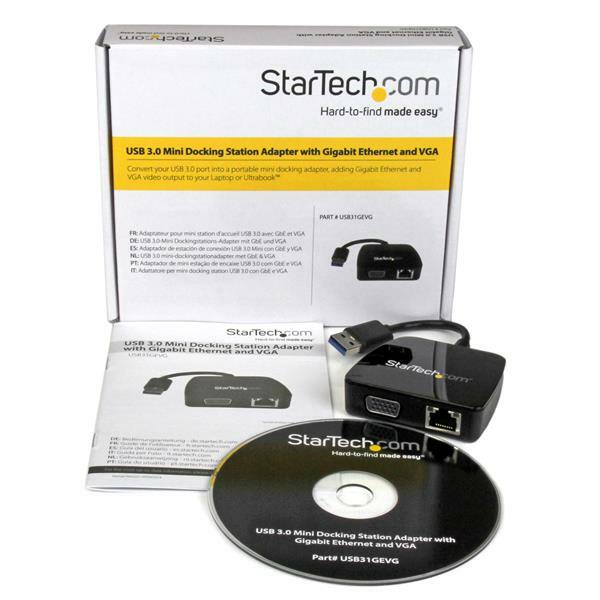 The portable docking station will automatically download the latest driver when connected to a Windows® system with an active network connection.